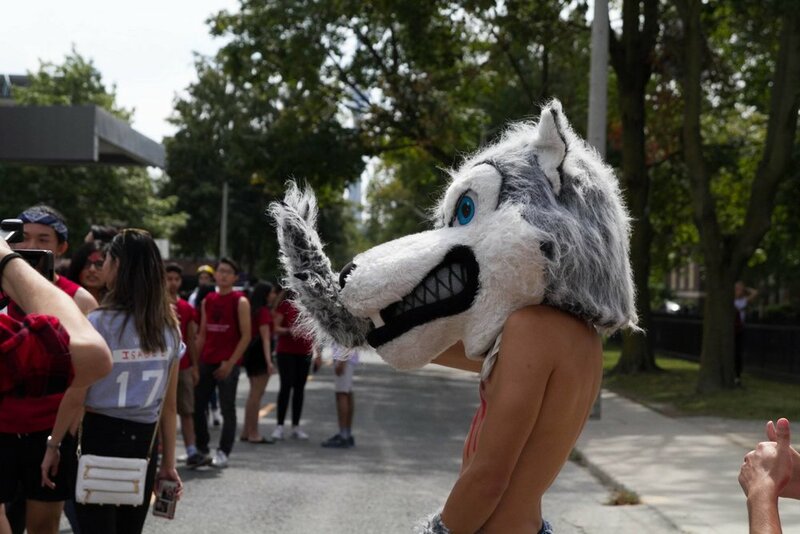 Woodsworth orientation week aims to ease the transition of all new Woodsworth College students and foster a fun, accessible and inclusive environment in which incoming students can find the opportunities, people and resources to succeed at the University of Toronto. The week involves a variety of social and educational events open to all Woodsworth College students. Orientation Week 2018 will take place from Monday September 3rd to Wednesday September 5th. Orientation events will be happening throughout all three days, check out the schedule for more information! There will be an add-on event, our annual boat cruise, on Saturday September 8th. Woodsworth residence students move in on Sunday September 2nd, but there will be no orientation events that day. Who can attend Woodsworth orientation? Woodsworth orientation is open to all new students of the university of Toronto, including transfer students. Do I get food at orientation? YES! Food will be provided throughout orientation week as a part of your orientation package. Please let us know of any dietary restrictions we should be aware of by august 10th. Participation in all Orientation events are completely optional. We encourage everyone to participate in any and all events they are comfortable with- or get out of your comfort zone and try something new. However, if you don’t want to participate in an activity, that’s no big deal! What else do we get from orientation? Other than some amazing, long-lasting friendships, and lots of fun- Orientation provides you with so much more. Orientation offers the knowledge of where your classes are, opportunities to join clubs and meet their execs, you’ll get a free shirt and a kit which includes a string bag, water bottle, pens, student discounts, Woodsworth swag as well as numerous gifts from our sponsors and a whole lot more! Where will I stay during Orientation? I’m not a resident student, where can I stay during orientation? What is the residence add-on? Woodsworth College residence provides accommodations for commuting students if needed. Commuters have the option of requesting to stay overnight in one of the Woodsworth Residence common rooms for the duration of Orientation Week for an additional price. You would move in Monday morning and move out Wednesday. How do I get to ORIENTATion Events? You only need to worry about getting yourself to Woodsworth college every day! Most events will be taking place on campus and we provide transportation from Woodsworth to all off-campus events. Other than any allergy medication, or things you bring with you everywhere, there is nothing specific you need to bring to Orientation. On the first day of Orientation during the registration process students will receive an Orientation kit, which will contain useful tools to ensure a successful Orientation. Please visit our schedule to find out more information about specific events and their respective requirements. WCSA stands for the Woodsworth College Student Association. WCSA is made up of elected representatives who serve and advocate for Woodsworth College students. WCSA offers a variety of events throughout the year such as the annual Red Party, and the weekly WCSA Wednesdays where you can get some free pancakes (also taking place during Orientation week). Shaver is Woodsworth’s mascot who is very eager to meet you. Visit his Facebook page at https://www.facebook.com/WCSASHAVER. What if I have accessibility accommodations? If you have any accommodations please indicate them when you register. Woodsworth maintains its extensive efforts to accommodate all students with accessibility needs. We ask that you please notify us of these accommodations through register at least 2 weeks prior to orientation to give us sufficient time to properly accommodate you. What If I need financial assistance for orientation tickets who can I contact? If you require financial assistance to attend orientation please contact Woodsworth's financial advisor Ms.Yvonne Hilder (yvonne.hilder@utoronto.ca) as well as reach out to us at (orientation@mywcsa.com).